Video of Rollins’ admission was taken during a town hall-style meeting held in Detroit, Michigan, on March 30. 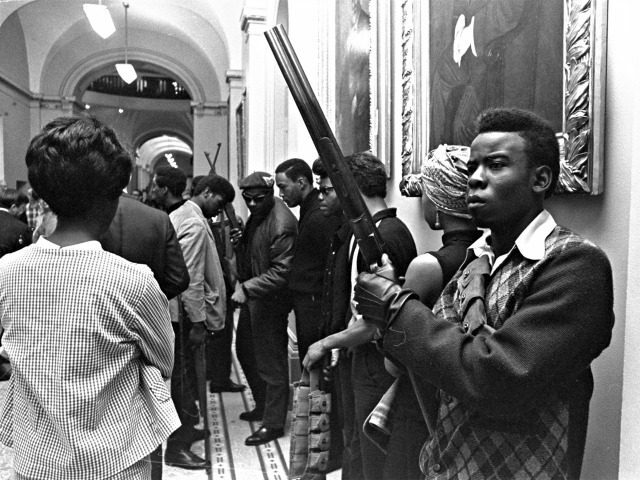 Rollins called the radical Black Panther Party a “movement for us,” according to the Washington Free Beacon. “I’m a former Black Panther and, when we talk about the movement, as a former Black Panther with Angela Davis and Kathleen Cleaver, it was important … to make people understand it was about the movement for us. Educating us. We got out, and we taught kids, we fed the hungry, and we clothed the naked,” Rollins said Saturday as DNC deputy Keith Ellison looked on. After her statement, Rollins asked blacks to vote for Democrats in the 2018 midterms to help the party take Congress back from the GOP. “We got to turn back to the revolution!” Rollins yelled to attendees of the town hall. This is not the first time that Rollins aired her membership in the violent, black power activist organization. Back in 2016 Rollins told the Michigan Chronicle that she joined the Black Panther Party in 1966 after she moved to Detroit. During the interview, Rollins also excitedly related how the Panthers were gathering guns and threatening revolution and noted how she is the “real McCoy” because she approved of the behavior.